Dr. Donald Cadle helps our patients keep their smiles bright and beautiful by offering advanced teeth whitening treatments at our New Port Richey, FL, dental practice. Many patients come to us with stained or discolored teeth. They may have seen minimal results from whitening toothpastes or strips from the local pharmacy, and come to us looking for more dramatic results. 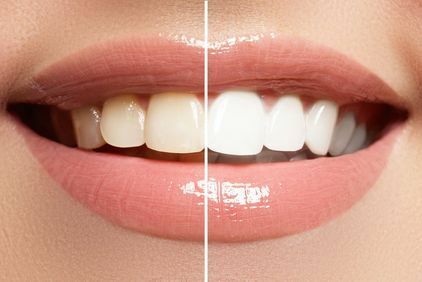 Dr. Cadle performs professional whitening treatments with the Opalescence® system, providing patients with bright, white smiles they cannot wait to share. Many factors can cause stained or discolored teeth. Intrinsic stains occur when the inner structure of the tooth darkens, and is difficult to remove. Patients who took an antibiotic called tetracycline as a child, or whose mother took it while pregnant, may develop intrinsic stains. Fluorosis, caused when children ingest too much fluoride during enamel formation, can also lead to these stains. Tooth trauma can cause intrinsic stains as well. "Dr. Cadle offers both in-office and take-home teeth whitening treatments, which eliminate extrinsic stains to give you a dazzling, bright smile." Extrinsic stains, which affect the surface of the tooth, are caused by foods and beverages we consume, or our lifestyle choices. Tobacco, whether smoked or chewed, contributes to more stained teeth than any other substance. It contains tar, naturally dark in color, and nicotine, which starts out clear, then turns yellow when exposed to oxygen. Coffee, black tea, and berries contain tannins, a compound that stains teeth. Colas, including clear cola drinks, contain acidic chromogens, which promote staining by other foods and beverages. Red wine contains both tannins and chromogens, making it one of the worst beverages for your teeth. Other staining agents include dark-colored sauces and berries, sweets with artificial coloring, root canal issues, and trauma. Dr. Cadle offers our patients the Opalescence® take-home whitening treatment to help remove stains from their teeth in the comfort of their home. The system consists of trays custom made to fit the patient’s teeth, and a whitening gel. The gel comes in four different concentrations of carbamide peroxide, the active ingredient in the whitening agent, and is available in regular, mint, and melon flavors. To use the home system, the patient simply fills the custom-made tray with the whitening gel. Then the patient fits the tray over his or her teeth, tapping it into place. Depending on the concentration of the gel used, the patient may wear the tray anywhere from 30 minutes to as long as 10 hours. The thickness of the gel keeps it from leaking out of the tray and irritating the gums. Next, the patient removes the tray and brushes his or her teeth to remove any leftover gel, taking care to rinse twice and avoid swallowing any gel. Finally, the patient cleans the tray with a toothbrush and returns it to the case. This in-office treatment helps patients whiten their smiles by several shades in under an hour. In addition to carbamide peroxide, the Boost gel contains potassium nitrate and fluoride, which keeps the enamel of the teeth healthy. Dr. Cadle uses a soft-tipped brush to apply the whitening agent to the patient’s teeth. A chemical reaction activates the gel, eliminating the need for hot lights or lasers. The carbamide peroxide breaks down, forming hydrogen peroxide molecules that absorb into the enamel of the teeth and break up stain molecules, whitening the patient’s teeth. An in-office whitening treatment may be recommended if you want to see immediate results. Or, you may choose to undergo the treatment in the comfort of your home with a take-home system. Dr. Cadle can help you make the right choice during your initial consultation, where he will learn about your goals and lifestyle before making his recommendation. To learn more about the Opalescence® whitening process, contact our office and schedule an appointment with Dr. Cadle.